“For Colored Girls Who have Considered Suicide when the Rainbow isn’t enuf”, The Stage Play is excellently written with powerful poems. Poems that have touched the hearts & minds of women for years. A young woman was so moved by it that she wrote a big screen adaptation for this play. Once it was shown that her adaptation would be faithful to the original it was approved by Ntozake Shange, the creator of the stage pla, then Angela Basset, Alicia Keys and Sanaa Lathan were attached to the film. This young woman/director’s adaptation was so profound that Lionsgate immediately began talking awards mainly Oscars. Now, here is where Nzingha Stewart steps to the side and Tyler Perry smartly comes in. Tyler Perry has made 10 movies but to many he is still not seen as legitimate. 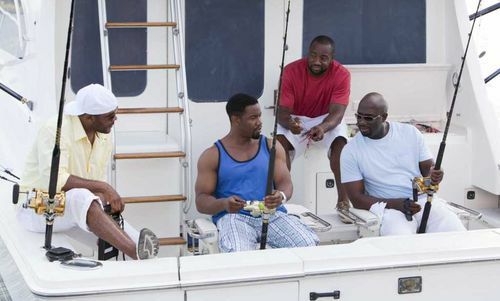 Madea and crew may make you laugh and they may make money, but they wont win the Big award, that trophy of legitimacy. Love Tyler Perry or not, let’s face it Medea is no Mrs. Doubtfire, and Tyler Perry is no Robin Williams. Mr. Perry did what many of us would have done in that situation and he took over the project. He did so with one goal; leave it as it was envisioned by the young director. All he had to do was allow the actors to act, don’t mess it up, and let the award talk begin. This was not ever done for or about your issues, your healing. It was and has always been about the pursuit of legitamcy… the pursuit of The Award. Tyler Perry said himself “I just didn’t want to ruin it. Was he talking about the young directors work, the sentiments of the play, or both? The movie itself is powerfully good, the blending of the poetry with dialogue is often magnificent. This blending of poetry with dialogue is so familiar to me that I am tempted to start my own verse of “Somebody almost walked off wid alla my stuff”, if you’ve read my books you’d know what I mean. However, I am sure that other well versed directors will attempt such boldness in the future. In this situation, I am reminded of the scene from the movie “Friday” where Deebo says “That’s my bike punk!”, this is not about Tyler Perry, his style, or his treatment of issues. Because we need the Tyler Perry’s of the directing world, but we also need the non-Tyler Perry voices to be heard. The issues in “For Colored Girls” are conversations that we need to be having and not just on a blog, or a post, but in our communities. This is also about our young and new artist, who don’t get credit, who get looked over and in many cases do the lions-share of the creative work all in order to pay some imaginary dues. I can’t say how I would have handled the situation if a new director came along and on their first film there was Oscar talk, and I had done 10 film in with no Oscar. I often hear people say where are the young talented minorites, where are the young fresh idea having directors. We now have the answer to those questions. 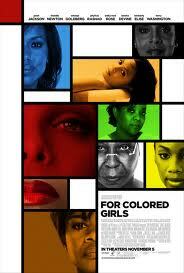 Frankly, because of the way “For Colored Girls” is written it deserves much Oscar talk. And because of the excellent acting, these ladies deserve to sweep the Oscars. Tyler has succeded in not messing “For Colored Girls” up because the poetry and passion of the original play is much larger than any award a director could ever get their hands on. 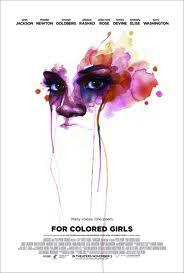 Oddly “For Colored Girls” was not nominated for a Single Golden Globe Award.